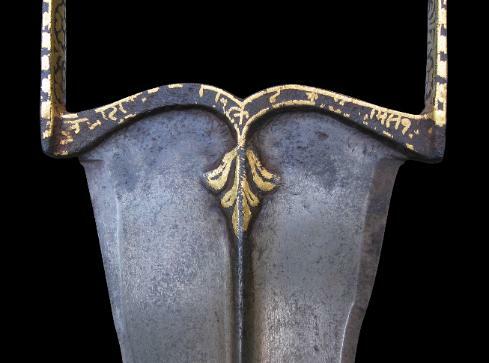 The tulwar has a baluster-form grip. 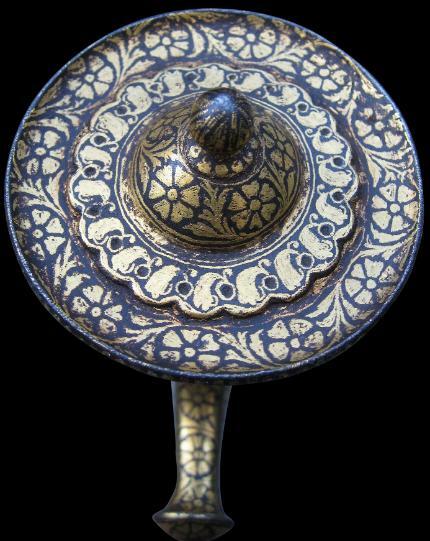 The pommel disc is decorated with gold overlay to the top and the underneath. The top is in a slight dish form with a raised central area leading to a dome and then a spherical finial all with gold overlay. 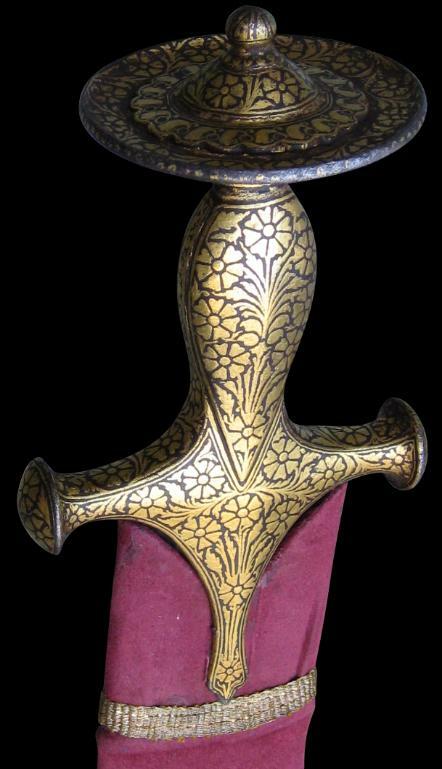 The quillon ends of the hilt are similarly embellished in gold with carnation flower heads. 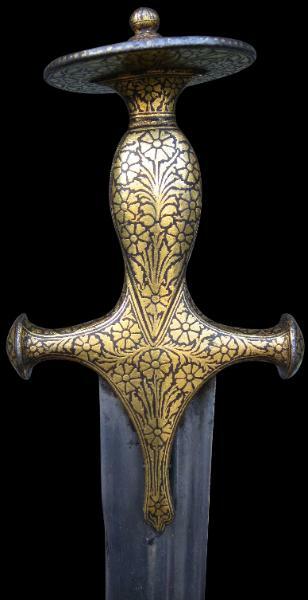 The tulwar has a straight, fluted blade that is 81cm long. 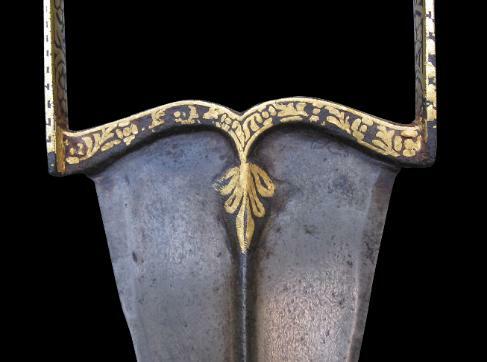 The katar blade is long and angular with a prominent central ridge to both sides. It is fullered with a swollen tip. Both blades have watered steel patterning. 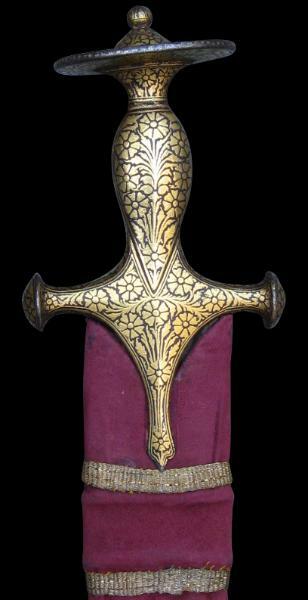 Both have scabbards that comprise velvet stretched over thin wooden interiors. The scabbard for the tulwar is in red felt with gold ribbon embellishment and a silver chape. The cover for the katar is in blue felt and is most probably a later replacement. 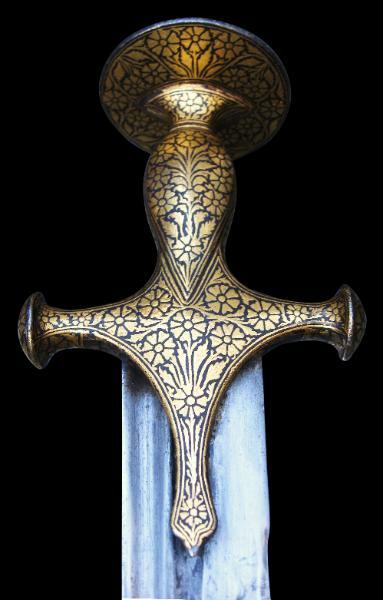 The tulwar is a type of Indian sabre or shamshir, whereas katars or punch daggers were designed to pierce chain mail. Crill, R., & K. Jariwala, The Indian Portrait 1560-1860, National Portrait Gallery, 2010.